The Cancer man and Taurus woman have quite a lot in common, and so this is a relationship with some potential right from the start. It’s not without its difficulties, however, once this pair settle down together, and Cancer man Taurus woman compatibility can become quite an insular and isolated relationship if the couple don’t take steps to avoid that. Both the Cancer man and the Taurus woman are relatively quiet, modest people. They’re not the loudest at a party, and they enjoy their privacy. Their dating time will be understated and intimate – they would much prefer to go out to dinner with just the two of them rather than with a crowd of friends. Both partners are also unfailingly kind, so this is quite a gentle partnership to begin with. Although Cancer is a water sign, it is the most earth-like of all water signs; although Taurus is an earth sign, it is the most water-like of all earth signs, so this earth-water match gets off to a good start. 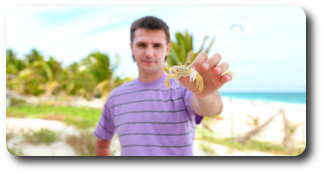 Cancer man Taurus woman compatibility flourishes because this couple understand one another. The Cancer man is an emotional and intuitive soul, plagued with vague worries and doubts. He seeks a partner who can respect his depth of feeling and provide some stability in troubled times. The Taurus woman is sensible and down to earth and can do just that; in return, she seeks a partner who wants to make a solid commitment and who can spark her hidden depths – and the Cancer guy fits the bill here. The Cancer man brings out the Taurus woman’s emotions, while she helps to soak up the worst excesses of his own emotions. In this way, Cancer man Taurus woman compatibility benefits both partners. For the Cancer man and Taurus woman, compatibility problems won’t occur at the beginning of the relationship – the trouble spots are likely to come years later, when they start to take each other for granted. After a while, the Taurus woman will start to lose her infinite amount of patience when the Cancer guy goes into yet another tailspin over yet another imagined worry. For his part, the Cancer man is likely to feel wounded and hurt when she dismisses his concerns and insists that all is well. He needs to explore his worries, not be told to brush them aside. Another potential issue for Cancer man Taurus woman compatibility is possessiveness. Both of these partners are quite jealous people. The Cancer man can be very clingy, and the Taurus woman is supremely possessive, so either partner may feel very slighted by the smallest amount of harmless flirting. Although both are slow to anger, when they do lose their tempers it will be a sight to behold – and both are very capable of deeply hurting the other with their words. Ultimately, however, this is a deeply sensual and committed relationship. The couple are a good match sexually, with the Taurus woman’s earthy sensuality complementing the Cancer man’s emotional giving. They agree on most important points such as money, stability and family life, which gives them a solid base on which to build their future love. For the Cancer man and Taurus woman, compatibility remains strong.